Microsoft has sent out invitations for its Mobile World Conference (MWC) 2019 pre-conference event in Barcelona. The conference will be lead by CEO Satya Nadella, technical fellow Alex Kipman and corporate vice president Julia White. According to The Verge, Kipman’s attendance suggests that the event will feature the HoloLens 2. Kipman is reportedly close to the virtual reality headset project. Sydney will reportedly feature an improved field of view, as well as a lighter, more comfortable body than previous models. 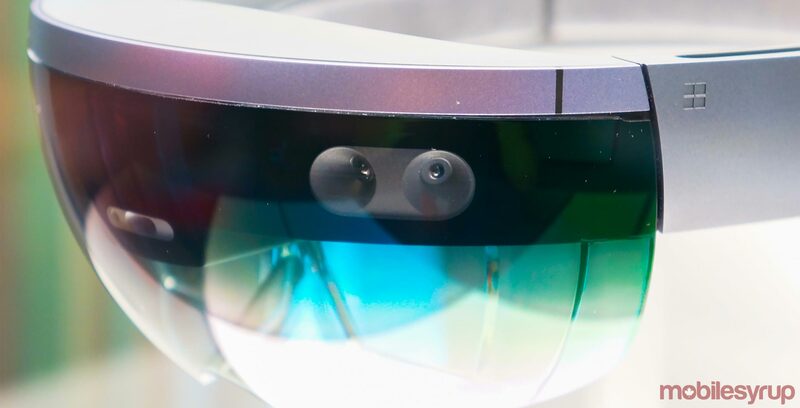 The Verge also suggested that the HoloLens 2 will include the latest generation of the company’s Kinect sensor, as well as a custom AI chip. Additionally, rumours suggest Microsoft will use Qualcomm’s Snapdragon 850 processor. White’s presence at the conference suggests that Microsoft will deliver Cloud platform and Azure announcements. Microsoft previously revealed the Windows Phone 7 Series at MWC 2010, as well as the Lumia 950 at MWC 2016. However, Microsoft hasn’t made an appearance at any MWC since the death of the company’s Windows Phone platform. Without Window Phone, it’s odd that the company would make a return to the conference. It’s worth noting that rumours also indicate Microsoft is working to adapt its Windows platform for foldable devices. Back in October 2018, a new patent suggested that Microsoft was looking into a device with a hinge in the middle. As such, MWC 2019 would be the perfect platform for Microsoft to reveal a new mobile foldable device. Microsoft is set to host its pre-conference on February 24th, 2019 at 5pm CET /11:00am ET. MWC 2019 will take place between February 24th, 2019 and February 27th, 2019.